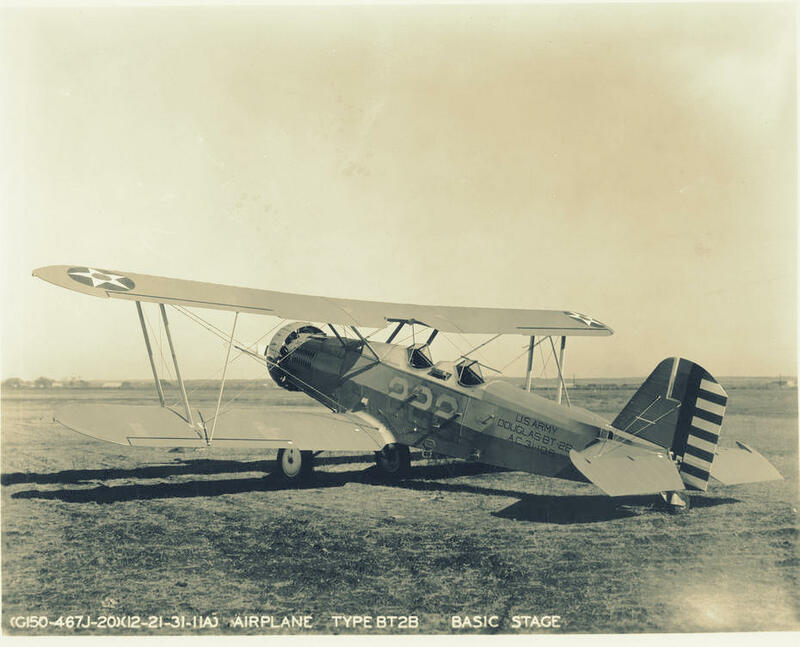 Douglas BT2B biplane at Randolph Field, TX. William Lamar Parham, of Berrien County, GA was on a solo training flight in a Douglas BT2B Basic Trainer, when his plane suddenly dived into the ground. Parham was the first airman killed at Randolph Field.